Hip Baby Blog: February is Cloth Diaper Month! February is Cloth Diaper Month! It's here! Our third annual Cloth Diaper Month at Hip Baby. Because we believe simple choices can make a big difference. 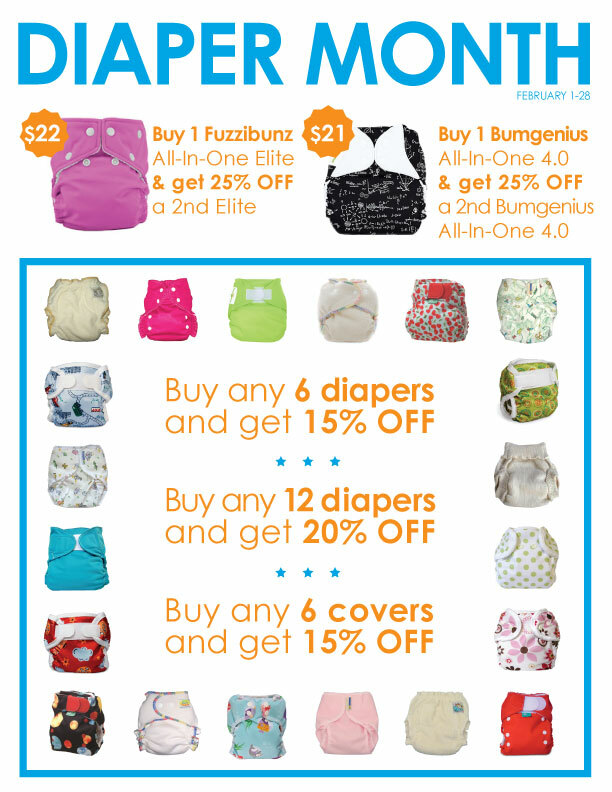 See our flyer above for some of the great deals available on Vancouver's largest selection of in-store cloth diapers. And we're a great resource of information too! All our staff attend our cloth diaper workshops and can assist you and answer your questions. Or you can attend one of three FREE workshops available during the month of February. The Cloth Diapering Dad has trained close to 500 people and will get you started with his engaging and informative 90 minute workshop and leave you fully prepared to take on the challenge. It's a healthy, environmentally friendly and an economical alternative to conventional single-use diapers. Call the store at 604-736-8020 to book now!